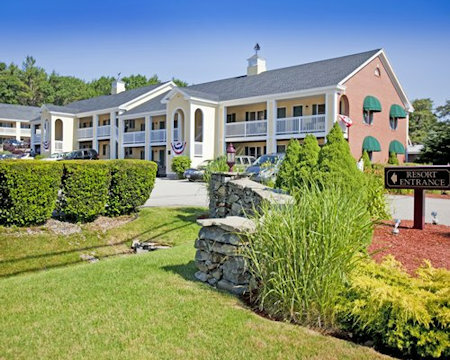 Innseasons Resorts The Falls at Ogunquit in Ogunquit, Maine - Bid on a 7 Night Stay in a 1 Bedroom Mini Suite! 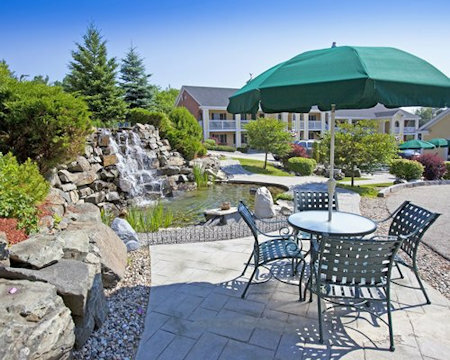 The Falls at Ogunquit is a 6 minute walk from the beach and located less than a half mile from the Atlantic Ocean. The resorts offers and indoor pool, sauna, and a gym. Other features include, a lending library, along with a children's playground. 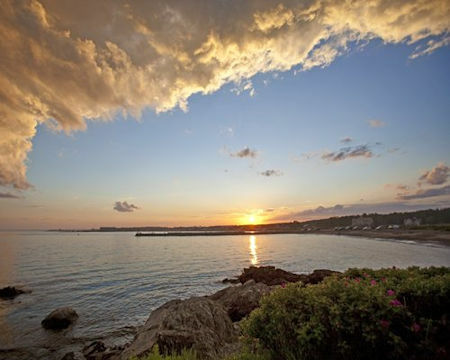 Relax and rejuvenate in the friendly village of Ogunquit. This resort boasts seventy-seven luxury suites, all well appointed with separate bedroom with a whirlpool spa, a living room with fireplace, a sleeper sofa, and a limited kitchenette. 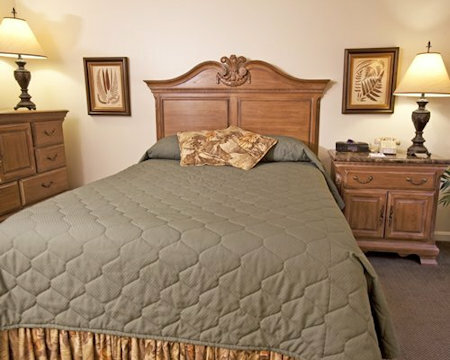 Luxury One-Bedroom Mini Suites are complete with a Queen bed and a whirlpool in each unit. Beautiful living room with electric fireplace, sleeper sofa and cable TV. Convenience kitchen includes microwave, cook top, refrigerator, and coffee maker. 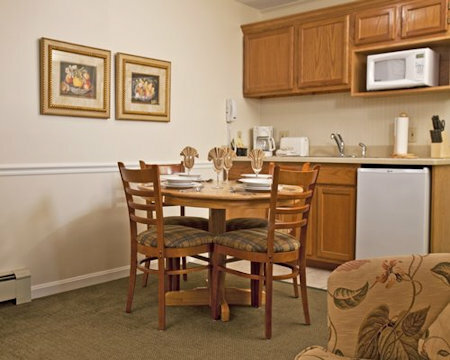 Your 1 Bedroom Suite will accomodate up to 4 people and has a partial kitchen.